NYC's first homeless shelter-based troop aims to sell 6,000 boxes. The Girl Scouts of Troop 6000, the first homeless shelter-based troop in New York City, have quite a sizable goal for their first-ever cookie sale. (WABC) A member of Girl Scout Troop 6000, New York's first homeless shelter-based troop, participates in the troop's first cookie sale in Union Square, Manhattan in April 2018. For starters, they have set up a cookie stand at Kellogg's NYC, a cereal cafe located in Manhattan’s Union Square. "The biggest impact that we see, and when you talk to the girls you'll hear them say, is that they belong to something. They have a sisterhood within the other Girl Scouts," Girl Scouts of Greater New York CEO Meredith Maskara told ABC News. "They talk to other girls who may be in their same situation who feel alone, and they feel like they have a stronger sense of community and belonging overall." 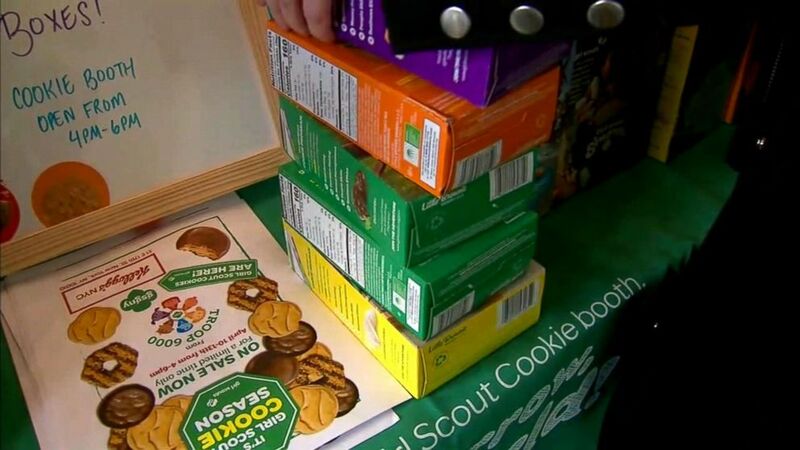 (WABC) Boxes of Girl Scout cookies are stacked at the Troop 6000 cookie sale in New York's Union Square in April 2018. Members of Girl Scout Troop 6000 will be in front of Kellogg's NYC selling cookies through Friday. Additionally, the proceeds of Kellogg's NYC specialty menu items will be donated to Troop 6000, according to the cafe's website. 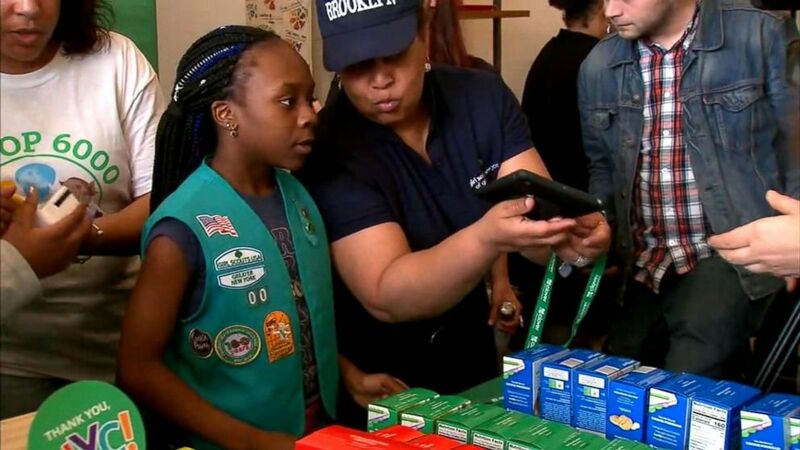 (WABC) Members of Girl Scout Troop 6000, New York's first homeless shelter-based troop, hold their first cookie sale in Union Square, Manhattan in April 2018. Troop 6000 was established in March of 2017 through a partnership between New York City's Department of Homeless Services and the Girl Scouts of Greater New York.